I have a RRA Varmit flattop upper for sale. Less the bolt carrier assembly and charging handle. I bought this new, a couple of years back and have only shot most 300 to 400 rounds through it, closer to 300. I have since purchased and Bushmaster upper. (I had a Bushy lower and wanted to keep everything from the same manufacturer) and have no use for this anymore. This upper has a 16inch fluted barrel, free floating varmit handguard. Not sure who the manu. 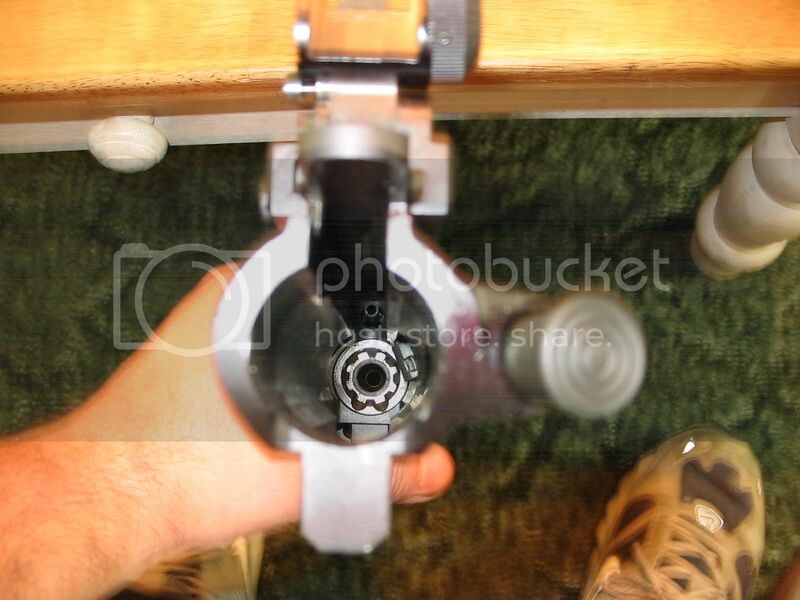 of the flip up sights are, they were on it when I bought it. I will also throw in a no name railed front handguard that I got for it, but didn't really like so I removed it. This piece has a few scratches on the lock ring(screwed up when taking it off). I also have an extra set of front and rear now flip up sights that I am selling. Here is a couple of photos of everything. They aren't great but will try and take some better ones a little later. 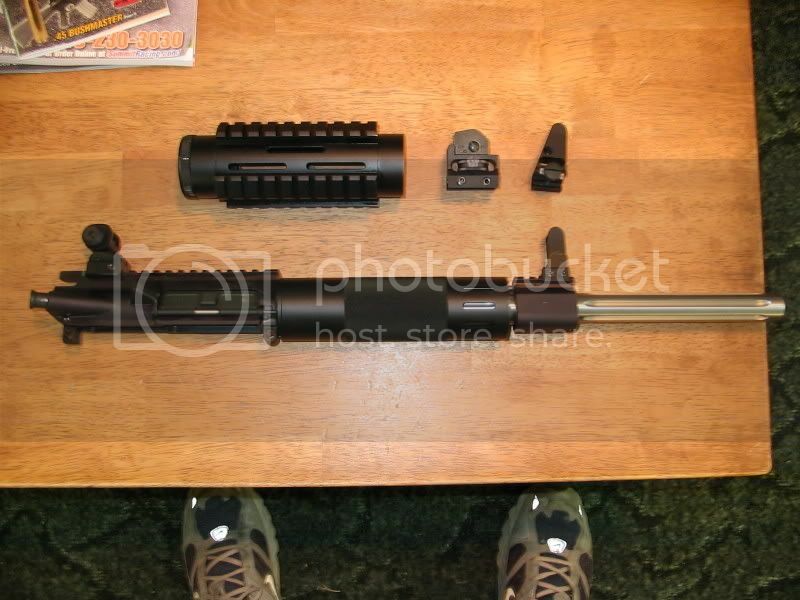 I am asking $400 for the upper and extra handguard. $50 for the extra sights. If you want it all $450 including shipping. Upper SOLD, shipping Monday. Extra Sights also SOLD, FTF today. thelastgunslinger: She has a fivehead, but i'd hit it.